Top award two years running! Greystones businessman John O’Brien's company has won the highest award from Public Sector magazine for the second year in a row. O’Brien’s company, John Farage O’Brien Ltd, which operates from offices on Delgany’s Priory Road, has just been presented with the 2018 Legal Dispute Resolution Award by Public Sector magazine in its annual Excellence in Business Awards. But the dispute resolution consultancy won the same award in 2017, and John was so taken aback by the phone call to tell him his firm had won again that he wondered if the judges had made an error. 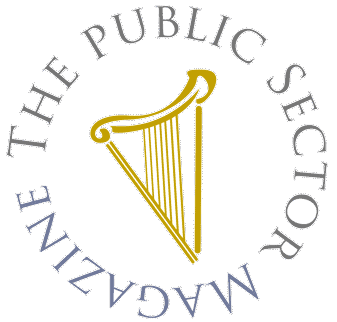 The prestigious award comes in recognition of the firm’s work in advising and representing those involved in construction disputes, many involving the public sector, and its founder’s role as a mediator, conciliator and arbitrator in successfully resolving disputes which often involve tens or even hundreds of millions of euro in contract value. O’Brien said: “It is incredible, to win this award for the second year running. It’s unbelievable news for our team. But in reality, they deserve this recognition for the work they do — and for the contribution it makes to business involving the public sector. “The public sector is a huge employer of construction firms, civil engineering companies, surveyors and many other construction professionals, operating many contracts, and when disagreements turn into disputes we are always on hand to help resolve them. “We have been involved in cases worth over €2.5 billion in contract value since 2003, with amounts in dispute running from a few hundred thousand up to tens of millions. The vast bulk of these are resolved without resorting to adversarial and public litigation in court, saving huge sums in legal fees, huge stress for the parties involved, and huge amounts of public money. The firm was founded by the well-known Greystones resident in 2003. It specialises in resolving disputes in the construction sector, representing clients at all forms of alternative dispute resolution. O’Brien himself is a fully qualified and accredited mediator and arbitrator, where he serves as the ‘referee’ in disputes over the terms of construction contracts and brings to the role a lifetime of experience in the construction sector and 15 years of work resolving disputes. John Farage O’Brien also provides support services to legal teams which represent clients in open court or private arbitration tribunals, where their efforts at mediation or conciliation have broken down. Alternative dispute resolution includes methods of resolving disputes that do not involve court action, which can be difficult and costly. Instead, processes such as arbitration, adjudication, conciliation, and mediation are used to resolve conflicts, once the parties in dispute agree to use them. O'Brien has long experience as a project manager on major civil engineering, railway infrastructure and building projects in Ireland and Britain and has honed his skills in the the dispute resolution arena since 2003, with extensive experience as a dispute manager, an advocate, a conciliator and as a practising arbitrator and mediator.